For the past four years, we've been recognized by the Best Christian Workplaces Institute (BCWI) as one of Canada's top Christian places to work. The Canadian Council of Christian Charities (CCCC) encourages participation in this survey, which helps Christian organizations review their workplace culture: "We believe that Christian workplaces should be the best places to work. 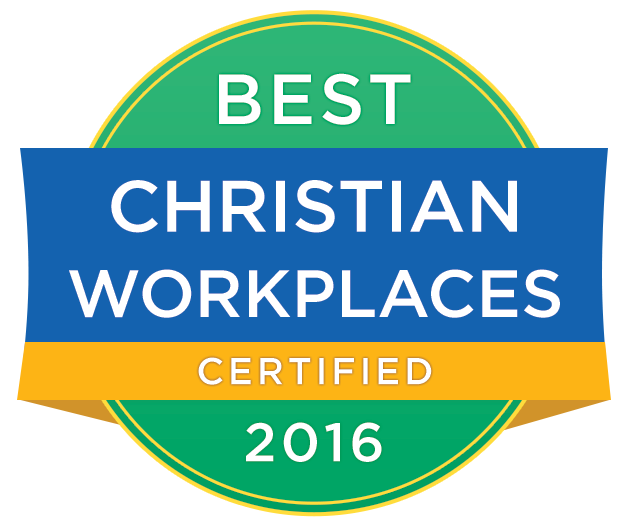 That's why the CCCC sponsors the Best Christian Workplaces Survey." The survey helps leaders answer important question, such as "Do you know how your employees feel about their work life?" Feedback helps employers see where they are doing wel l and also where there is room for improvement. We're grateful for this award, as we're committed to having positive, Christ-honouring relationships, not only with you and our partners abroad but also among our office and thrift-store staff at home. Please pray for us as we move forward, that we will not lose sight of encouraging one another and building each other up in the faith as we work toward advancing the gospel and impacting nations in the name of Jesus Christ.